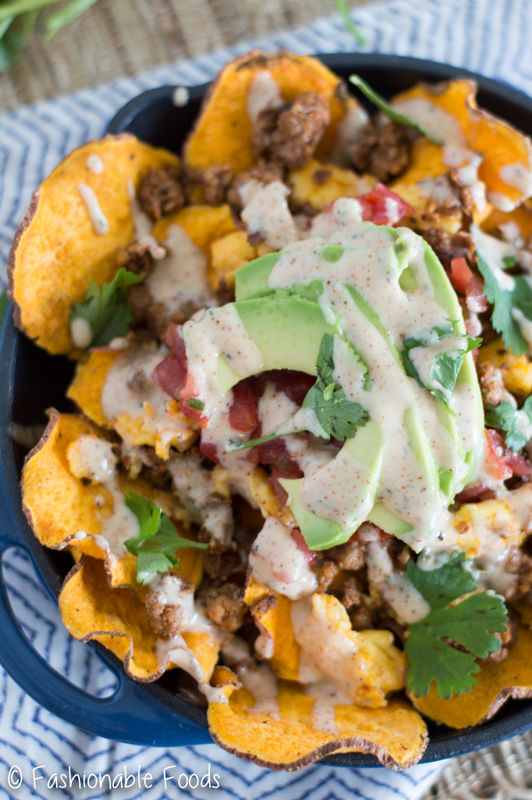 Nachos for brunch! 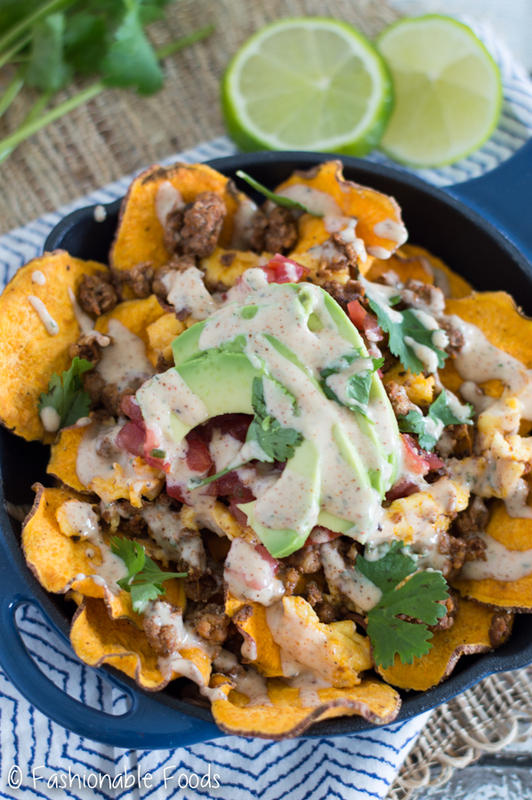 These Paleo Brunch Nachos are chock full of homemade sweet potato chips, chorizo, and scrambled eggs. Top them off with avocado, cilantro, pico de gallo, and a delicious chipotle lime ranch! Who is excited for the weekend? ?????? It’s supposed to be warm on Saturday, which will be such a nice change from this frigid weather we have been experiencing. This nice little warm up means I can get some more things planted in my garden! So far I planted asparagus and rhubarb, but it will a long time until I can enjoy those. Next up on the planting schedule we have onions and peas. I absolutely love fresh peas and spring onions! There’s nothing better than grabbing a scallion out of the ground, cleaning it off, and eating it. Or, the first mature pea pod full of sweet peas! Can ya tell I get a tad bit excited over homegrown vegetables? Now, let’s talk brunch. Who doesn’t love brunch? 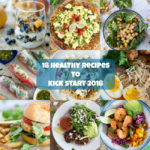 I know I love a good brunch… especially when it involves healthy items that don’t make me want to take a big nap after eating. Not that there is anything wrong with a gut-busting, nap-inducing brunch from time to time! Tell me that doesn’t sound mouthwateringly good?! 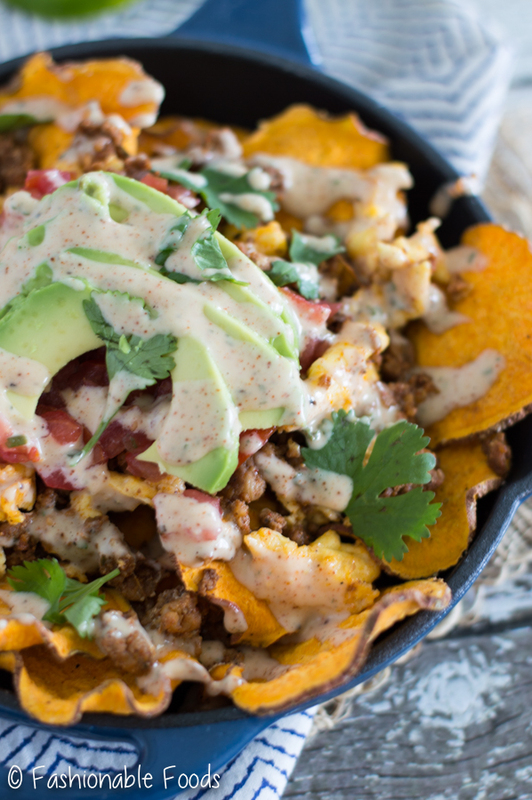 So, how do we make these tasty nachos? Well, pretty simply. 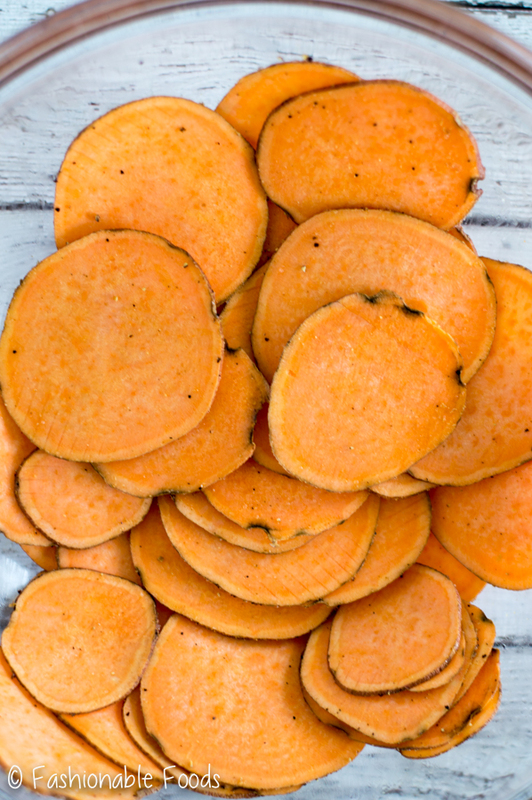 Start with medium to large sweet potato, thinly slice it into chips, and microwave them. Yep, you read that right. The good ‘ole microwave is the perfect way to make crispy chips. I happen to have a microwave chip maker, but you don’t need one. You can very simply just use parchment paper on a plate and flip them throughout cooking. If you’re not into microwaves, you can bake them on parchment covered baking sheets until crisp! You could also just buy sweet potato chips if you’re feeling lazy. ? Don’t worry, I won’t tell! Once you have your chips, you just load ’em up with delicious toppings. Cooked chorizo and scrambled eggs are the main base. Then I top with pico de gallo, avocado, cilantro, and most importantly… chipotle lime ranch. One taste of that chipotle lime ranch and you will want to put it on EVERYTHING. 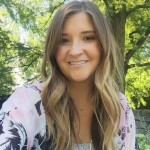 How does one make a dairy-free ranch? Easy! Paleo mayo (I use homemade), coconut milk, and spices. It’s seriously SO good. You’ll never know it’s dairy-free. In fact, it’s so much better for you than any store bought dressing since there are no additives. It’s a win-win! As written, the recipe will serve two as a meal, or four as a snack/appetizer before the main course. Served alongside some fresh fruit and it’s the perfect brunch for two! The recipe is also easily increased to feed more people, if you need. Of course if you’re not concerned about dairy-free, you can add some cheese. Cuz a little cheese never hurts, right? Although, I have to admit… I didn’t miss cheese one bit with these nachos. 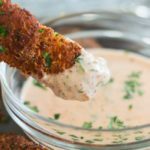 That ranch gives that creamy texture and it’s so full of flavor that you’ll forget all about cheese! Have a fantastic weekend, my friends. 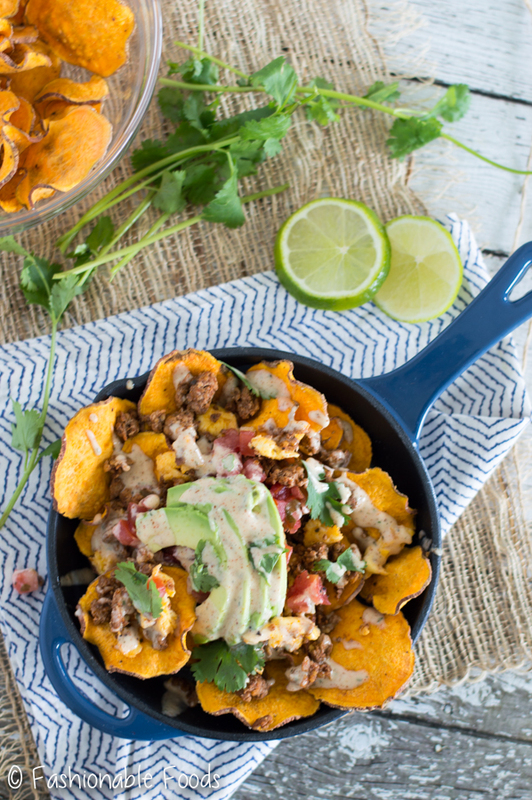 Enjoy the warm weather if it’s going to be warm where you live… and be sure to make these nachos for brunch! ? Microwave the chips according to the directions on your chip maker – typically you’ll start with 3 minutes, and then follow in minute increments until dry and crisp. Be careful not to burn them! Repeat with remaining potato slices until you run out. Make the ranch dressing by whisking all of the ingredients in a small bowl until well combined. Set aside until ready to serve. Meanwhile, heat a small sauté pan over high heat and add the chorizo. Break the chorizo up with a wooden spoon and cook until brown and cooked through, about 3-5 minutes. Transfer to a paper towel-lined plate. Leave whatever fat is left in the pan, and pour in the whisked eggs. Cook over low heat, stirring constantly until you have your desired doneness for scrambled eggs. 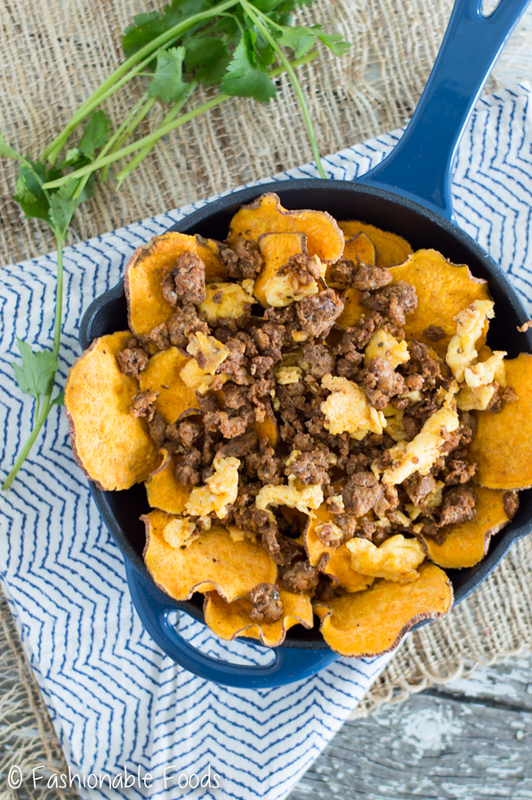 Lay the sweet potato chips out on a platter and top evenly with the chorizo and scrambled eggs. Top the nachos as desired with sliced avocado, pico de gallo, and cilantro. Drizzle with the chipotle lime ranch and serve. *You can find Paleo mayo in some specialty stores, online, or you can make your own! *This hearty brunch item would be a great appetizer for 4 people before the main course, or will serve 2 as a hearty meal. I like to serve it alongside fresh fruit. The microwave chip maker that I have can be found here. I love nachos, but I haven’t had them in years, I just can’t bring myself to eat all those calories in one sitting. Back in my younger years I never worried about things like calories, but now that’s the first thing I think about when I sit down to eat. I love the idea using sweet potatoes like chips, and the additions of eggs and avocado take this dish to the next level. I am always excited for weekends, but I guess I am late for that weekend excitement. Hope you had a great time. 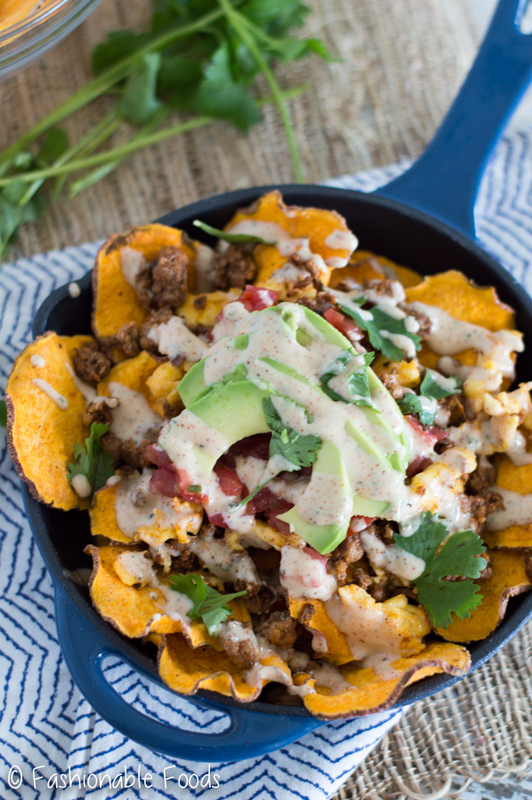 Absolutely loving the sound of these paleo nachos. And those sweet potato chips are making me drool. Wonderful share, Cheri.